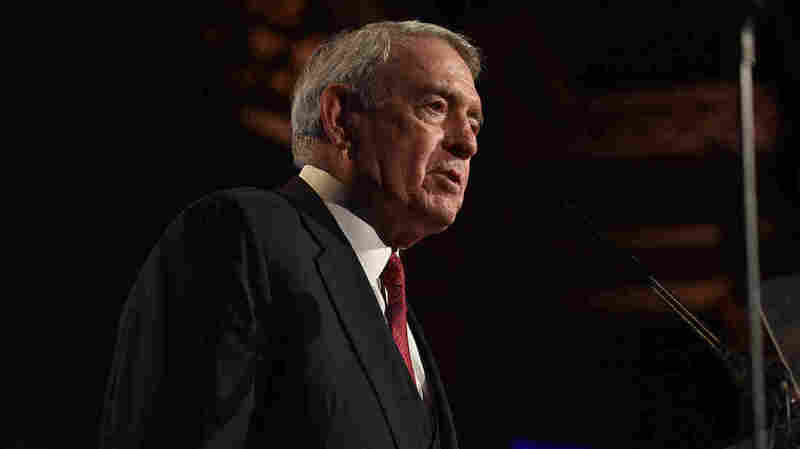 Dan Rather, An Unlikely Essayist, On 'What Unites Us' Equally optimistic and concerned, the longtime television news anchor — now a Facebook phenomenon — has written a book that doesn't hide his love of country. Dan Rather speaks at the Gotham Independent Film Awards in 2015. His new collection of essays is called What Unites Us. We are a nation of laws. President Donald Trump and all those around him who have not yet been named in an indictment have the presumption of innocence. As do those who have been arrested and not plead guilty. But what has unfolded today is the working of a very meticulous and seasoned prosecutor who is sending an unambiguous message. This is real. And a lot more is out there. The shockwaves coursing through Washington and the world are only beginning. Make no mistake, Bob Mueller almost assuredly knows a lot more than he has let on. He also knows how to unfold a prosecution, to turn up the heat, send shots across bows, and build a case up the ladder. The fact that he started with such big names is telling. The hints at other knowledge, and other people, in the indictment is a serious clue that many more shoes are likely to drop. The plea deal that was off the radar suggests there are names and actions that the public has yet to give scrutiny, but the Mueller team has been hard at work ferreting out. And the president reportedly fumes about a narrative he cannot control. 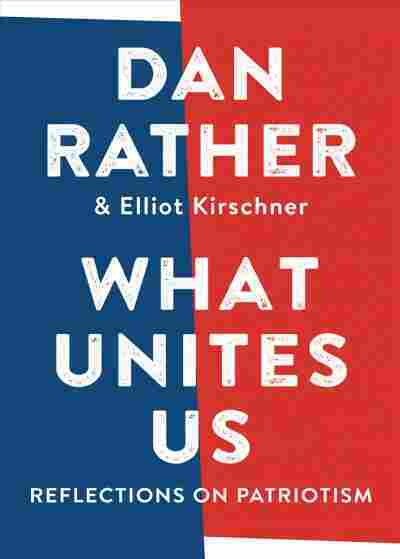 Now Dan Rather has a new book — a collection of essays, called What Unites Us: Reflections On Patriotism. It's a topic that can make him quite emotional. "Our founding documents contain some of the most beautiful and noble words ever put on paper," Rather says. "I recite them often and love them with every fiber of my being. We the people, all of us, are living together in perhaps the greatest social and governmental experiment ever conceived. We are being tested. How can we prepare ourselves for the moment? Are we up to the challenge?" I do, though we need to look to our history at least a little. We've been through some really difficult times before as a country — and now we find ourselves in a period of, seemingly, chaos and havoc at the very top of the government, particularly in the executive branch. So what we've done is we've descended into extreme partisan politics and set-in concrete ideologies. But we're better than that. I do worry about that quite a bit. I recognize that my time to shape the world in even a small way is receding, but I keep coming back to one of my father's favorite words: 'Steady. Just hold steady. Do what you can.' You know, President John Kennedy asked, 'Ask not what your country can do for you — ask what you can do for your country.' And if we just hold ourselves steady and say to ourselves, 'Let me do something today that helps my community, that helps my country,' we'll begin to crawl and claw ourselves back to a more reasonable state, and that way, going forward in the 21st century, we can have a better country than we have had, and let's face it — we have had a very good country. That's absolutely true, totally unexpected, and one of the great surprises of my life. Look, I was at CBS News for 44 years, 24 of them in the anchor chair. CBS News was part of my identity — I mean, "Dan Rather, CBS News" was just, in my own mind, almost my name. And when I left there, under those circumstances, I said to myself, when it was finally over, "I don't know what I'm going to do. I still want to work, I have a passion for reporting news, but is anybody going to hire me? Can I find anything to do?" But to have this social media phenomenon happen — I do find it amazing and humbling. Granted, humbling is not a word usually associated with present or past television anchorpeople, but I do feel that way. I don't profess to understand it, but I am very grateful for it. You know, one of the things has happened to me with age — I think it may happen to quite a few people — is that I'm deeper into gratitude, humility and modesty than I've ever been. That may be damning with faint praise, but I have really learned the value of it. And I will say that, you know, part of what made this book possible was the, to me, still incredible response that we've seen on social media. And I see this book What Unites Us as an extension of that spirit, but one that's broader in its mandate. Fatma Tanis and Melissa Gray produced and edited the audio of this interview. Patrick Jarenwattananon and Sydnee Monday adapted it for the web.